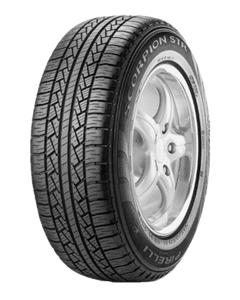 The SCORPION™ STR combines the strength traditionally associated with Pirelli’s on road performance, with effective off road capabilities. Comfort, high mileage and regular tread wear are attributes that meet the high standards required by vehicle manufacturers for original equipment products. The ideal choice for SUVs, off road vehicles and light trucks. Quiet and precise on the road, it is manoeuvrable and comfortable when used off road. Its compound of silica and natural rubber, combined with the functional symmetric tread pattern, make it effective on surfaces which are wet or lightly covered in snow. Having recently moved to the area from England my postman recommended I go here - delighted I did great, friendly manager - I will certainly be back for tyres and services to both my vehicles. Thanks guys!!! Easy to find. Great and quick service. Will definitely be returning in the future! 10 thumbs up! Thanks again guys!